C Corporations, S Corporations and LLCs are legal business structures distinguished by how they pay their taxes under U.S. federal income tax law, whereas a B Corporation (or "B Corp," with the "B" standing for "Benefit") isn't actually a legal entity and is still taxed based upon its chosen C, S or LLC structure. "B-Corp" is a certification awarded by the non-profit B Lab to for-profit companies which meet rigorous standards of social and environmental performance, accountability and transparency. "B Corp is to business what Fair Trade certification is to coffee or USDA Organic certification is to milk," reports B Lab, which has certified upwards of 2,100 companies from 50 countries and across 130 industries. To qualify as a B Corp, a company must be working primarily to solve an environmental or social issue through its work as a business entity. B Lab launched in 2006 with the first B Corp certification of 19 companies coming a year later. The non-profit began lobbying efforts across the country in 2008. In 2010 Maryland passed the nation's first B Corporation Law, followed closely by California in 2011. When Patagonia and 11 other well-known California companies registered as B Corps on the first day possible in January 2012, major national news outlets covered the story, putting the B Corp concept "on the map," so to speak. And later that year, the movement went global when companies in Africa and Brazil became certified B Corps. "I think B Corp ... will allow the values of my company to continue, even after it's sold and it's way down the line and we're dead," says Yvon Chouinard, Patagonia's founder, adding that he compares it to a conservation easement on a piece of property. "It's a conservation easement on a business." Besides Patagonia, some of the better-known companies now certified as B Corps include Ben & Jerry's, Etsy, Warby Parker, Plum Organics, New Belgium Brewery, Stonyfield Farm, King Arthur Flour, Cabot Cheese, Badger and Seventh Generation. Today 33 U.S. states recognize Benefit Corporation status while six more--Alaska, Georgia, Iowa, Mississippi, New Mexico and Oklahoma--are considering it. Companies that want to pursue B Corp status should check whether it's recognized in their state by looking it up on benefitcorp.net's State-by-State Status page. If the answer is yes, the next step is taking B Lab's "B Impact Assessment," which assesses the overall impact a company has on its stakeholders, including a heavy emphasis on sustainability and environmental considerations. The assessment takes two to four hours to complete depending on company size, sector and location. Several of the questions concern sustainability issues such as energy efficiency, waste and pollution mitigation efforts. For instance, one of the assessment questions asks: "What percent of energy (relative to company revenues) was saved in the last year for your corporate facilities?" Companies that qualify must then revise their articles of incorporation so that managers and directors can start factoring in how their decisions affect all stakeholders, not just financial shareholders, while recertification every two years requires that companies maintain that commitment to all stakeholders in order to keep their status. 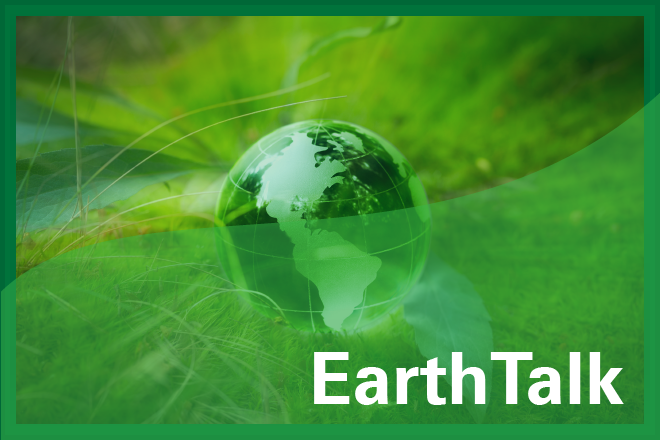 EarthTalk(r) is produced by Roddy Scheer & Doug Moss and is a registered trademark of the nonprofit Earth Action Network. To donate, visit www.earthtalk.org. Send questions to: question@earthtalk.org. EarthTalk – What is a low-carbon diet? EarthTalk – Do environmental factors influence fall colors?